Developing gaming content is a real art, and some cannot master it no matter how hard they try. Their creations lack creativity, striking animation and other important characteristics. Endorphina is one of those video slot developers which are able to produce high quality, entertaining games, but the games are generally not really exciting. They just feel fine and can be called interesting, but not thrilling. You won’t see games produced by this developer very often, although there are good chances to play their selection in reliable Endorphina casinos accepting Bitcoin. Usually gaming operators offer their content to complement other more popular software. It’s a relatively small and young company based in Czech Republic producing only video slots. Basically, they do a great job, and it just seems that they need more time to add some thrill to their games. If they can do that, their games would be so much fun to play. 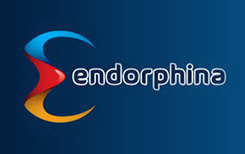 Endorphina is a reliable content provider with the software tested by iTech Labs. This laboratory has excellent reputation and vast experience in checking fairness of casino games. Another proof that this content supplier uses unbiased random number generator is the list of their partners. A lot of world known and respected gambling software companies used to work with them and enjoyed this experience, including iSoftBet, SoftSwiss and EveryMatrix. There are over 40 games produced by this company, but commonly players can’t find them all in one place. Visit website from the list of Endorphina casinos to check what games supplied by this developer they offer. Endorphina slots usually have 5 reels, up to 50 paylines, special elements, bonus rounds and free spins. Most of the titles have risk game. This feature is different from most risk games. Basically, it is played the same way – players pick a card and it should be of higher value than dealer’s card, there are four cards to choose from. But the difference is that when you enter Endorphina risk game, you can take your winnings and leave once dealer’s card is revealed. Players can benefit a lot using this option. Suppose a dealer has an ace – winning seems unlikely so you can just collect your prizes and leave this feature without taking unnecessary risk. Their ability to pick unique themes was mentioned above. Now let’s prove it. We’ll start with Cuckoo. It’s about antique cuckoo clocks and vintage porcelain eggs. How could anyone think of placing these symbols on video slot reels? The idea is weird, but it’s fun to have this type of games in casinos. Another strange theme no other developer would think of using is vaping. Diamond Vapor can be found in many best Endorphina casinos because it is widely popular with players. The title features three youngsters who enjoy vaping and are regular guests at Vape Bar. Design and animation of the slots are the main attractions. You can feel the atmosphere of the club with its dim lightning and clouds of vapor. During gamble feature Jack and Mike compete in blowing big clouds of vapor and you need to wager on one of them. Reliable Endorphina casinos provide a range of the developer’s titles telling about voodoo, Olympic Games, hackers, origami, emoji and other unique topics. One of the company’s flagship games is Satoshi’s Secret that features one hacker trying to steal money from different bank accounts. Players love this title for its engaging bonus rounds. During one of them, they need to gamble on future currency values to get nice payouts. Great thing about Endorphina games is Autoplay mode. It has a lot of useful settings. Gamers can choose to stop autoplay in certain number of rounds, after some time has passed, certain win is received or balance decreased/increased up to specified level. All parameters or just one of them can be selected at the same time to exit the mode. If this really useful option seems interesting to you, look through the list of Endorphina casinos and pick a site to enjoy it.